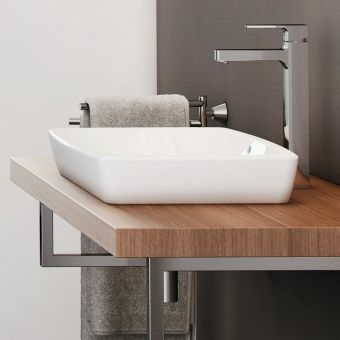 Developed by German design studio NOA for VitrA, the M-Line offers stunningly design led, contemporary sanitaryware at very accessible price points. 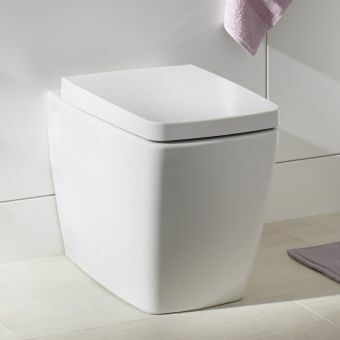 VitrA have drawn on their years of bathroom manufacturing to produce a precise and slim yet robust piece of ceramicware. 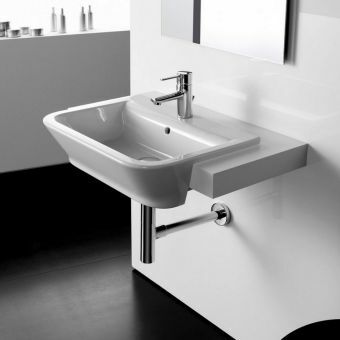 NOA’s vision for the M-Line range is realised in this a modern streamlined version of a semi recessed basin, bringing this style of bathroom sink up to date. 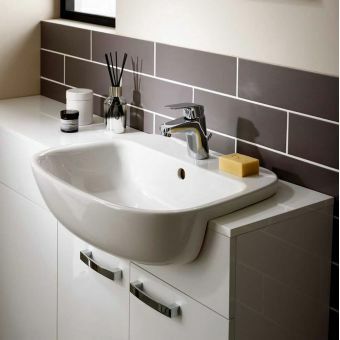 This basin would look fantastic set into a run of fitted furniture, all sorts of design styles could be achieved, you could match this basin to a modern moody-grey unit run with contemporary black handles for a really fashionable look, this basin would work equally well with a completely different trend such as light pastels and geometric details, it is a truly adaptable piece of quality pottery. 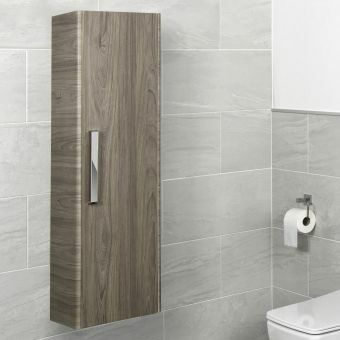 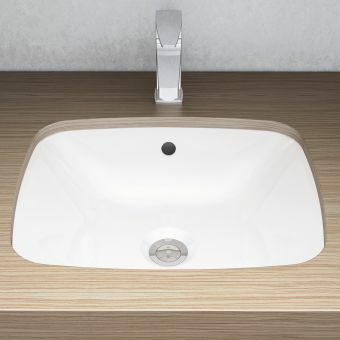 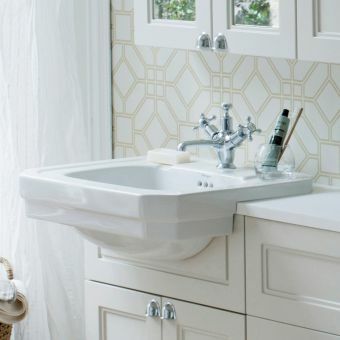 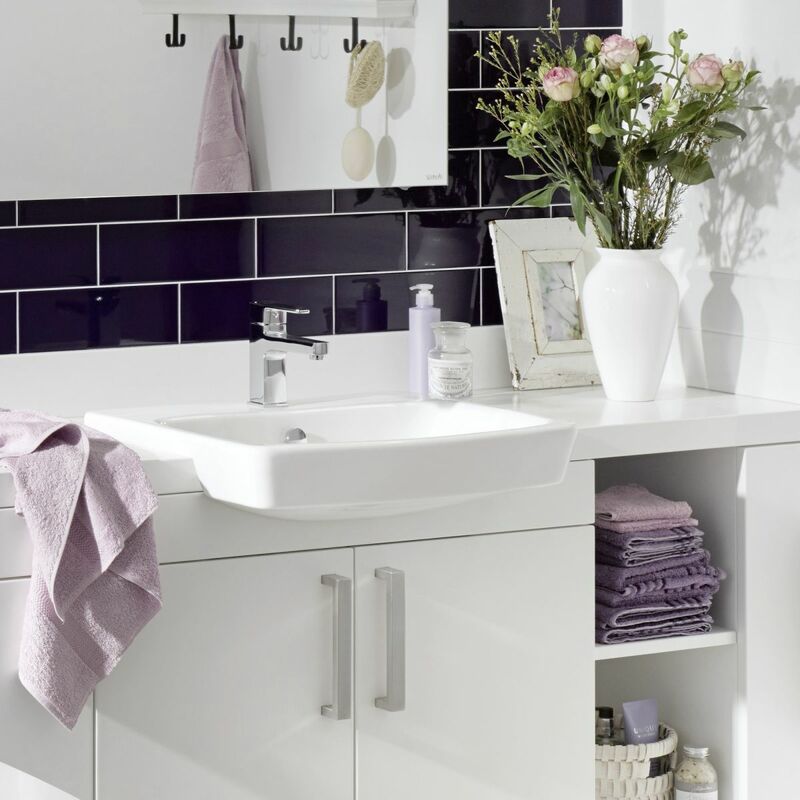 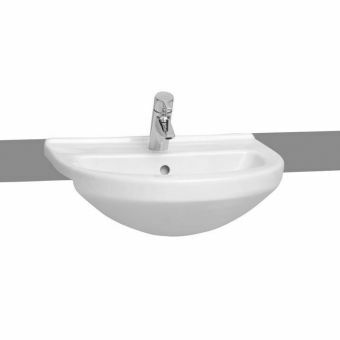 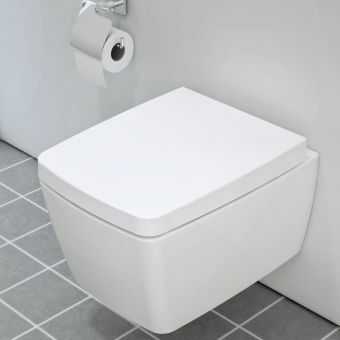 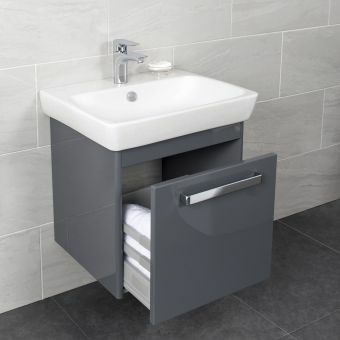 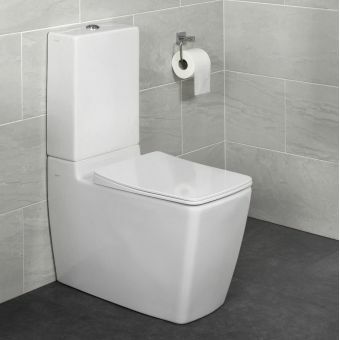 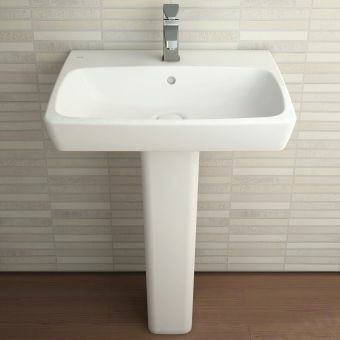 The basin has one central tap hole and an overflow, meaning you will require a slotted waste (most wastes are slotted) if you need help choosing matching brassware just get in touch! 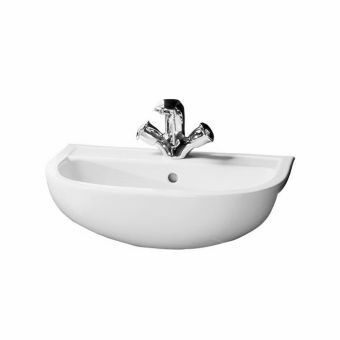 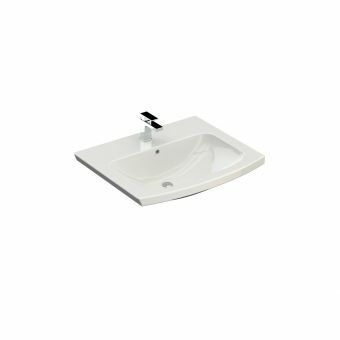 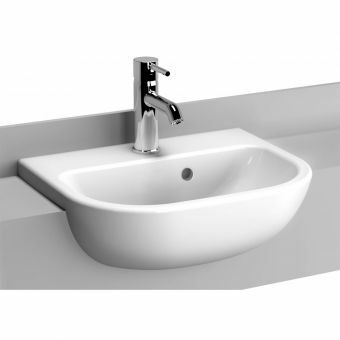 Soft corners, a slim height profile and stylish features epitomise the VitrA M-Line basin series.